I’m a Vaalie, not a surfer at all, but I recognize something useful when I see it or hear about. In Cape Town’s notoriously temperamental climate, planning that perfect day enjoying the city’s finest surf spots is a tricky exercise in guesswork, with surf and weather conditions often differing substantially from place to place. BeachWatch is an exciting new mobile phone application from iSee Software Solutions (a company based in Stellenbosch in the Western Cape) and it ensures that the perfect wave is only a click away, bringing the best breaks directly to users’ mobile handsets in real time. Fish Hoek, Noordhoek, Long Beach, Kommetjie, Outer Kom, Kommetjie, Kalk Bay, Muizenberg and Misty Cliffs. Watersports enthusiasts can now monitor surf conditions on-the-go, utilizing the application’s high-quality, live video streams for beaches throughout the Cape Peninsula. The application offers strategically placed camera feeds at all of the city’s top surfing hotspots, providing custom views of well-known wave breaks from Melkbosstrand to Kommetjie. The application is free and works across the vast majority of handsets, enabling almost anyone to monitor quality camera feeds without having to access a computer or smartphone device. The BeachWatch surf cams are currently available exclusively in Cape Town and surrounds, but will be rolled out to other popular South African surfing destinations in the coming months. READ: What Can QR Codes Be Used For In an eLearning Classroom? BeachWatch is a cross-platform application, available across the majority of mobile handsets, with an Android Application also available for download. There’s now no excuse for watersports enthusiasts of every kind to miss that perfect wave. To download the BeachWatch application, please visit http://www.beachwatch.co.za or follow BeachWatch South Africa on Facebook. 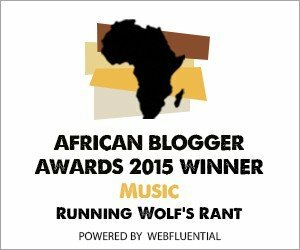 Watch this space for future updates in the Technology category on Running Wolf’s Rant.